IT IS GOLD AND RARE. From the time she was a teenager Cécile was collecting vintage jewelry which, one day in November 2014, "disappeared". That is when Cécile felt the urge to create her own pieces to wear and to share. 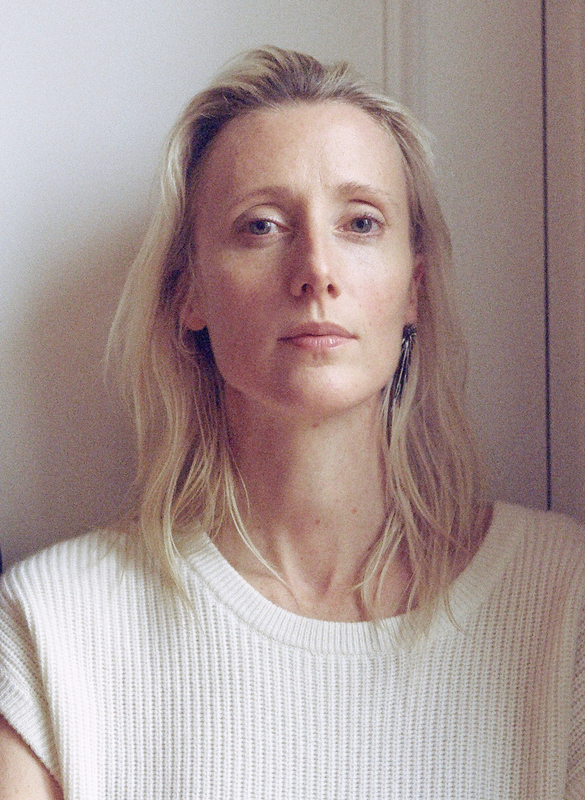 Stylist "for others" since she was 21, Cécile Fricker Lehanneur drew, advised, dressed women and men with passion knowing that her time for jewelry would happen and she would embrace it. Her very first piece of jewelry is almost twenty years old: a double ring "to split" she designed for her friend Constance when Constance's daughter Rose was born and created by poet Serge Thoraval. Then came the rings for her own wedding, conceived in 2008: hidden in the heart of the ring are several rows of small and warm gold beads whispering love the skin. The C&M wedding rings with antique sophistication are of course part of the collection. In December 2015, the CÉCIL brand was born with the first Serie Comètes and the option to have each piece custom made. These are completely handcrafted in France, with ethical gold. CÉCIL is also a Dream Team, rare and precious! Designer Mathieu Lehanneur loves, enlightens and brings support. New Yorker artistic director Miquel Polidano and Belgian graphic artist Paul Boudens respectfully signed the brand logo and monogram. Coralie Gauthier, very dear friend met while attending Institut Français de la Mode, is entrusted with communicating and developing CÉCIL. Genius Ivorian/ Senegales New Yorker stylist Jenke Ahmed Tailly watches over with his usual enthusiasm and culture of the World. Bulgarian fashion photographer Elina Kechicheva, Paris resident, signed the images of the first collection in her wild elegance. CECIL is a brand of precious stones/high end jewelry conceived and designed by Cécile Fricker Lehanneur. Treasure hunter, Cécile loves beautiful and unusual creations, refection of a big proud heart. Enter CECIL's world...Not only do your emotions come to life but you feel the power and the beauty of the elements: gushing water, fire, sun, sky and beyond are at the heart of the introspection and the inspiration. Cécile never studied gemology but she is under the spell of this magical alchemy: the brilliance of the diamonds, the thousand and one colors of the stones, the mystery of fine pearls fascinate her. She creates jewelry for women and men, also for children because a piece of jewelry represents a link, a gift, love, family. Each piece is created in Paris by master jewelers behind Place Vendôme. In this highly qualified workshop each creation is treated with utmost care. Small custom made pieces, everything is possible. "Jewelry transforms one's daily life into something exceptional. Each piece carries a message, becomes a sentimental friend through life. Almost alive, it leaves a print in our memory." Cécile Fricker Lehanneur of course have asked her husband, designer Mathieu Lehanneur, to join her answering Thomas Erber’s invitation. 2 Earrings by CÉCIL, from Comètes serie in a special case designed by Mathieu Lehanneur. Earring Comète #7, rhodium plated silver. Case made in black acrylic. Turquoise stone, sculpted yellow gold, emerald. Please leave your contact details here.